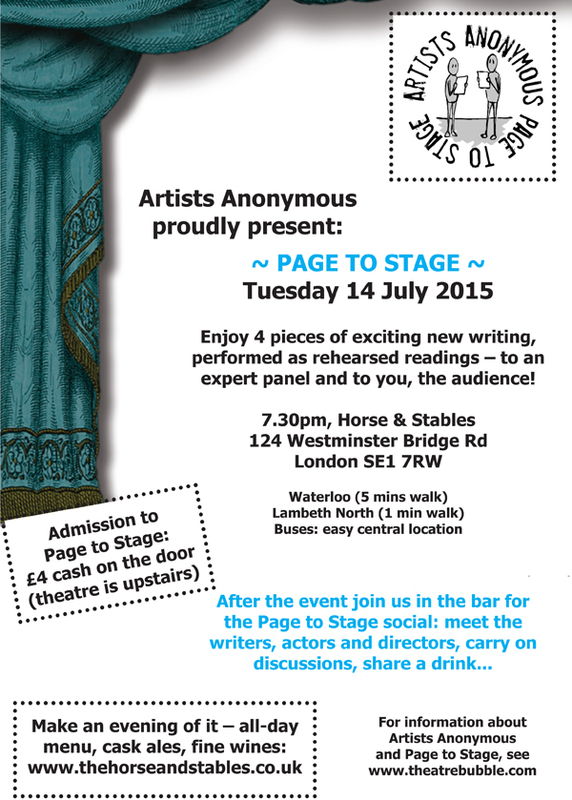 Did you see the post about the Summer Page to Stage on Tues 14 July? Here’s the first follow-up post. Are you a writer keen to see your work on its feet? Deadline for submitting your script: Tues 23 June. And see the audience flyer for details of venue etc.